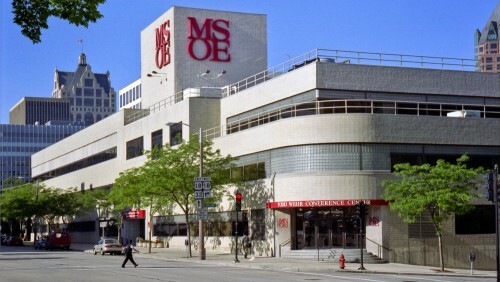 There are several honor societies at MSOE dedicated to recognizing academic and professional excellence in their chosen fields. Alpha Eta Mu Beta is the Biomedical Engineering honor society founded by Dr. Daniel Reneau of Louisiana Tech University, under the sponsorship of the Alliance for Engineering in Medicine and Biology. The purpose of the AEMB is to bring into a closer union and to mark in an outstanding manner those Biomedical Engineering students who have manifested a deep interest and marked ability in their chosen life work so as to promote an understanding of their profession and to develop its members professionally. Eta Kappa Nu is a professional honor society that recognizes excellence in electrical and computer engineering at the Milwaukee School of Engineering and around the world. Members of Eta Kappa Nu must be a junior-level or senior-level student pursuing a degree in electrical, computer, or biomedical engineering. Members must also have a cumulative grade point average in the top one-third of eligible seniors or top one-fourth of eligible juniors. At MSOE you are encouraged to join our active chapter of the National Student Nurses Association. Participation in NSNA activities offers you opportunities for involvement and leadership skills development at the state and national level as well as within the MSOE Student Government Association. Tau Alpha Pi is the National Honor Society for Engineering Technology students. Tau Alpha Pi membership is open to top-performing Baccalaureate-Degree students in Engineering Technology programs. Only the highest 8 percent of MSOE’s total Engineering Technology enrollment per academic year may be elected members. The purpose of Tau Alpha Pi is twofold: to recognize high standards of scholarship among students in Engineering Technology programs, and to promote and encourage scholastic achievement and leadership by offering outstanding engineering technology students membership in the society. The society rewards selected scholars for past achievements and leadership, while encouraging a lifetime of commitment to learning and scholarship. Tau Alpha Pi members are truly interested in furthering and improving the academic life for all Engineering Technology students and in promoting the engineering/engineering technology departments at their own institutions. Tau Beta Pi recognizes engineering students for academic achievement and exemplary character. Tau Beta Pi is a service organization that seeks to improve the quality of its members and the community in which they live.